If you want to influence the online conversation about your company, you need dedicated brand advocates who can participate in social media on your behalf. Advocates are invested in your success, aligned with your objectives and willing to defend your company. But where can you find them? Don't look far. Your best potential social advocates are actually your own employees. Of course, creating an army of effective employee advocates isn't something you do overnight. 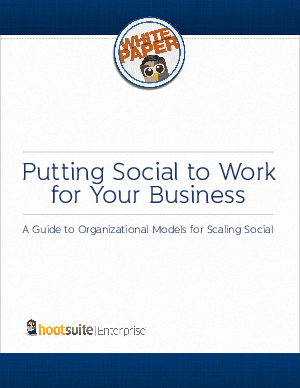 This white paper takes you through two strategic models for broad social media participation across your company's workforce: Empowerment and Containment.